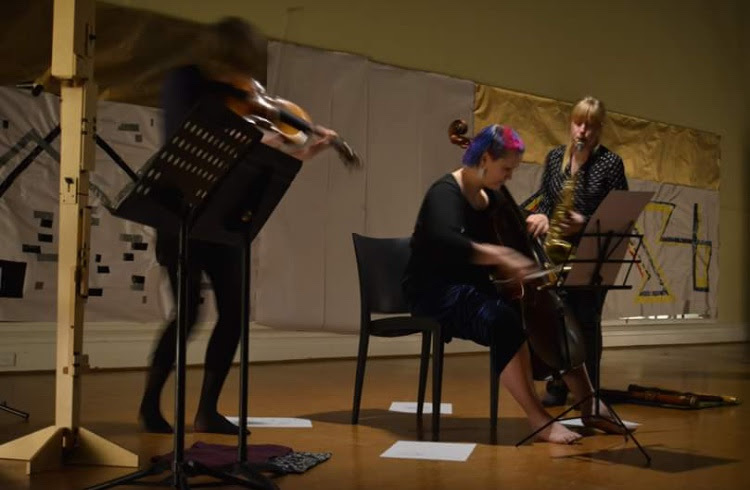 With a number of performances under its belt this year, including fluttering hearts // thinking machines and Nico: Songs They Never Played on the Radio, Forest Collective have continued with their reinterpretation and reimagining of chamber music and adapting it to suit the various themes and styles of their concerts. For their final show for 2018, Forest Collective's Gala performance consisted of nine pieces with a number of Australian and world premieres. Caroline Louise Miller's Reductionism Is A Dirty Word (2016) opens the night with Kim Tan (bass flute), Bec Scully (double bass) and Danae Killian (piano) taking the unique elements of their instrument and seeing how altering the way they play it changes the dynamics between musician and instrument and as a group. Similarly, as audience members we were invited to contemplate these relationships throughout the gala, but it was Jonathan Harvey's Ricercare una Melodia (1984) and Samantha Wolf's The More I Think About It The Bigger It Gets (2016) that really encapsulated this idea. In the former, the impact of the oboe being played live by guest musician Jasper Ly and the use of tape delay and looping resulted in a rich cacophony of sound that was impossible for audience members to not get swept away with. In Wolf's work, audiences are taken on a soundwalk, which focused on violence against women and particularly the lack of freedom women have in interacting with their environment. The soundbites from news reports and interviews were well matched to the suitably jarring music performed by Sarah Coghlan (violin), Nikki Edgar (cello) and Tan (flute) that heightened the tense mood being created. Earlier in the year, Forest Collective invited composers to submit their work in their Call For Score initiative with the possibility of having their music performed on stage. Stanislav Pristáš' Septem (2016) was one of the selected scores with his composition inspired by the biblical text of the First Book of Psalms. It was an affecting piece that allowed audiences to reflect on the state of the world as well as their own lives. The evening closed on 2018 Forest Collective composer-in-residence, Alex Turley's world premiere of Biome, which highlighted what it is about Forest Collective that has me going back for more. It might be an ensemble but it is also a group of individuals, each unique in how they play and feel music, and there is no way the music they make could be replicated in any other environment. It's a fleeting moment of beauty to be captured and treasured by our minds. The music played on stage in their Gala Performance might not have been the most soothing to listen to at times, but it was no less beautiful to hear. Under the leadership of artistic director, Evan Lawson, Forest Collective constantly challenges audiences to reconsider not only what chamber music can be, but also what the very essence of music can be. They've taken bold steps doing that this year and here's hoping they continue playing all the right notes. The Gala Performance was performed at The Australian Institute of Music on Thursday 15 November 2018. The next Forest Collective performance will be a landmark ballet-opera, Orpheus, presented as part of Midsumma Festival 31 January - 3 February. Click here for more information.